Creative thinking is essential for developing innovation in products and services. But applying creative thinking in business can run into a brick wall — the philosophy of business is to apply uniform production processes to permit scale, making the unique aspects of creativity play second fiddle to cost and productivity concerns. The key to solve this impasse is to find strategies to leverage creativity where its value can be unleashed to benefit a business. A book that offers advice on how to address this impasse is Creative Clarity: A Practical Guide for Bringing Creative Thinking Into Your Company by Jon Kolko. It highlights creative skills and management products for use in running your business. Kolko is a partner at Modernist Studio and the founder of Austin Center for Design. He has worked with both startups and Fortune 500 companies so he brings a unique perspective and set of experiences to business management. What is Creative Clarity About? The book encourages the reader to seek a problem solving framework — particularly when working with creative professionals like designers, graphic artists and journalists. Kolko goes on to provide a few frameworks for the reader to consider. 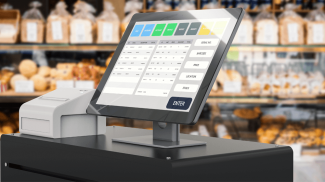 The aim is to incorporate good processes that leverage what creatives bring to the table and yet at the same time fit within the business constraints of product development. The fourth chapter Managing Spin, explains the idea of wasted creative cycles that do not push an idea forward. Chapter 5 offers insights on managing critiques, while the last chapter deals with building a creative culture. The book is a good read, only about 180 pages with supporting material at the end. 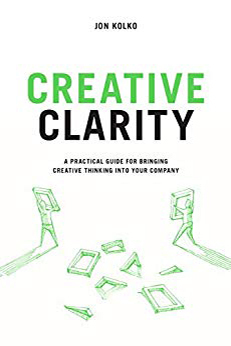 I like that the chapters within Creative Clarity: A Practical Guide for Bringing Creative Thinking Into Your Company focus on a mix of project management and methods for unleashing creative insights. It does so with an emphasis on production though many incorrectly assume creatives are not production-oriented. This is a good approach for allowing a design to be refined or for developing ways to solve problems. It is a good approach for helping newbie entrepreneurs with a creative product find the right balance between being active and doing activities that really do not move your business forward. Kolko goes on to include looking at constraints and breaking a problem into experiential parts and then solving each part individually. I felt this approach dovetailed nicely into what happens with software development. It can be a real management enhancement to decisions involving creativity but also echoing the approach often used in computer programing. 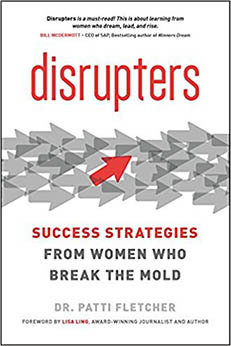 Kolko applies both concepts throughout the book, helping the reader see where they can be best applied in a particular organization. I liked how Kolko debunks common creative myths, such as this mention about “eureka” vs building momentum. With chapter 4, the reader learns some ideas for managing teams such as fostering flow and managing the ripple effect from design changes. Read this book to know how to effectively guard against operational decisions that can waste time. Kolko is very consistent with the ideas, preparing the reader to be a better manager or creative resources against project deadlines. Kolko sets the right tone for managers who work with creative professionals and whose success with key product launches depend on the innovation these professionals provide, whether they be full-timer or freelancer. The book fits today’s economy in which creative value is strongly correlated to branding value and ultimately dollar value. Get this book to determine the right mix of technical and creative professionals, an increasingly needed business essential for standing out from the competition. It helps if you can have creative people in your company. They will be the vehicle of creativity and may influencer the other people in your team. It helps to know what triggers creativity. You need to know that it doesn’t come from forcing it but by exposing yourself to as many things as possible. Creativity comes from play and from a clear mind and environment. It is not something that can be forced.